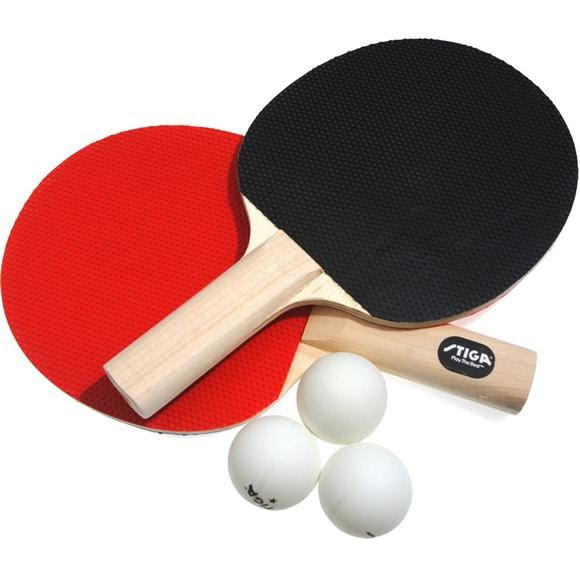 For a fun family game of table tennis, use the Stiga Master Series Classic Two Player Indoor Table Tennis Set. This set includes 2 hardbat-style rackets with a pips-out surface. Three white Stiga One-Star indoor table tennis balls are also included, making the Stiga Classic Two Player Indoor Table Tennis set the perfect accessory to start off a new game of table tennis.